The editor and the Editorial Board invite submissions relevant to the goals stated in the ACRL Plan for Excellence, as well as the research areas identified in ACRL White Papers and Reports, including the "Value of Academic Libraries" report. College & Research Libraries is a refereed journal using double-blind reviewing. The reviewers are not known to the authors and the authors should not be known to the reviewers. Therefore, we ask that the authors anonymize their paper prior to submission including removing or making generic the author identification and the institution that is the subject of the paper. The editor reads each manuscript and may reject papers that are clearly outside of the scope of the journal or do not meet the author guidelines. Submissions meeting the author guidelines are then sent to two peer reviewers who have indicated expertise in the area of the study. These peer reviewers will review and make recommendations to the editor as well as giving feedback to the author. The editor will review the reviewer comments and make a decision about the paper. In cases where the feedback is varied or less substantial, the editor may either closely review the submission and reconcile the feedback or seek a third reviewer. This review process takes ten to twelve weeks. After the decision has been made, the editor writes to the author accepting the manuscript, accepting it contingent on revisions, or rejecting it. Authors may not submit the manuscript to other publications while a C&RL review is in progress. For more information on process and timeline, please read "Opening the Black Box" at http://crl.acrl.org/index.php/crl/article/view/16536/17982. Periodically, there are special issues compiled with a topical or programmatic focus. C&RL is an open access journal. All contents are freely available immediately to the public without charge. Users are allowed to read, download, copy, distribute, print, search, or link to the full text of all contents. Authors retain their copyright and articles are published under a CC-BY-NC license. C&RL table of contents email alerts are available free of charge from ACRL. Sign up for Table of Contents Alerts through Informz. 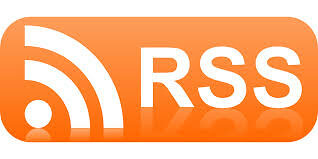 How do I subscribe to C&RL RSS feeds?